EXCELLENT CONDITION 2 POST / 4 LEG SERVICE - 10,000 LB. 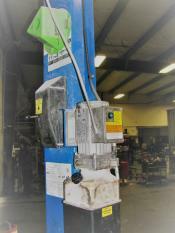 REPAIR LIFT CURRENTLY IN USE, COME SEE IT IN OPERATION - INSTALLED IN 2003 - HEAVY DUTY PROFESSIONAL TOOL !! 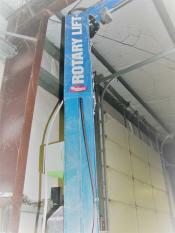 For over 30 years, Rotary Lift has built quality into every two-post they've designed. The SPO10 has proven this time and time again. 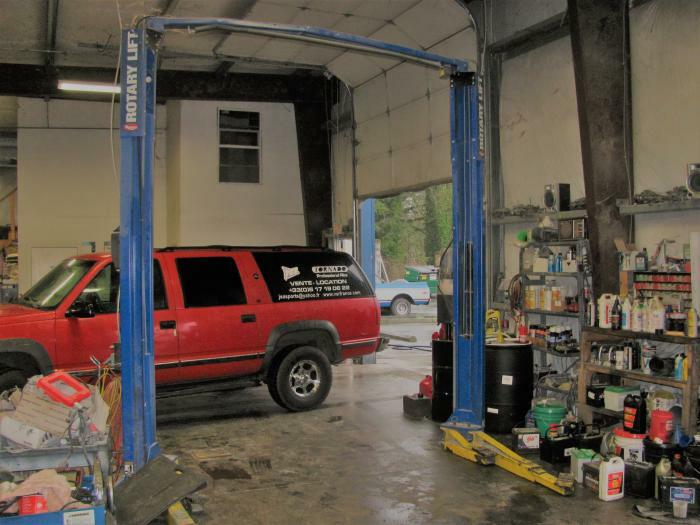 With features like the original single piece "double S" shaped column, true asymmetric columns, three position flip-up adapters, available 3-stage arms with thread-up or truck adapters and extended height models, the SPO10 delivers everything your shop needs. Rise 76 7/8" Overall Height 11' 8 1/2"
Overall Width 11' 5 1/2"
Drive-Thru Width 8' 6 1/2"
Front Arm Min/Max 27 1/2"-59"
Rear Arm Min/Max 27 1/2"-59"
Min. Adapter Height 3 5/8"
Time of Full Rise/Decent 45 secs./40 secs.